Making mistakes is a part of life. Sometimes we may find ourselves messing up in a relationship with a friend, family member or loved one. And while looking back on the situation and seeing it as a mistake made is a good start, there’s still going to work that needs to be done in order to fix what you’ve broken. If the relationship is worth saving, then you’ll need help working through a plan on how to mend that relationship. Here are five tips to consider that will help guide you through the mending process. Of course, the first step in fixing a broken relationship is an apology. But that apology should never come with excuses. You’re the one who messed up. Therefore, it’s your mistake, not someone else’s. If you start making excuses for what happened, your apology will lose its validity and the person you’ve hurt will most likely not accept your apology. Obviously, you’re going to have to make the situation better after offering your apologies. That means asking the person you’ve hurt what you can do to make the situation better between the two of you. It’s up to you to make amends, so you’ll need to inquire what it is you need to do in order to repair what you’ve broken. And whatever you end up doing, be sure it’s done in a sincere manner, showing that person that you really do want to make things better between the two of you. It’s not up to you to determine how much time it should take before you’ve fixed what you’ve broken in a relationship. That’s strictly up to the person you’ve hurt. That person should be allowed however much time is necessary to heal and either move on or accept you back into their lives. You may have to even step back from the relationship for a while if they ask for space. Remember, healing much take place on their terms, not yours. The process of healing and trying to mend a broken relationship is a good time for inner reflection as well. You must look inside yourself and try to figure out why you acted the way you did towards a loved one. Were you lashing out because you felt jealous or unhappy? Maybe you’ve been dealing with depression or anxiety issues? 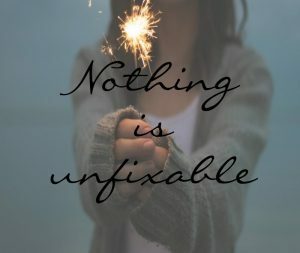 Whatever the case may be, by reflecting inward, you’ll be able to better understand the circumstances and work to make sure they don’t happen again. Mistakes happen, and that’s okay. Making a mistake in a relationship will actually help you learn and grow as a person. It’s definitely true that we learn from our mistakes, especially after you’ve done plenty of self-reflecting. So, make sure you use what you’ve learned to prevent further similar mistakes in your relationships. That way, you’ll be better equipped to handle an adverse situation and thwart it before it becomes a relationship that gets broken.